Springer season has been open since April 23 here in the Lewis & Clark Valley. However, it wasn’t until a few days ago that we started seeing decent numbers of salmon arrive. The timetable is running a few weeks late. 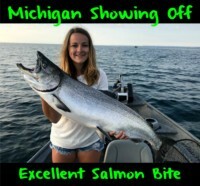 With that said the fish are here now and we saw phenomenal catch rates last weekend in the Lower Clearwater and Snake River around Clarkston, Washington. Keep in mind we have a quota for the lower section of the Clearwater River and with as many fish as were caught this past weekend and this week they’ll probably close this lower section after this weekend. 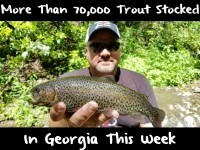 Fortunately, we still have the next few days to catch my favorite fish (the great tasting springer). And, keep in mind, when this lower section closes the river will open upstream from Cherry Lane to Kooskia. I’m expected good springer fishing for the next two weeks. There’s a lot of fish in the river now. When fishing in Idaho on the Clearwater River I anchor above the train bridge and use herring. It’s simple fishing. We sit on anchor and wait for the fish to come to us. Normally, I put out a few plugs (Maglips 4.5) and bait (Chartreuse Fire Brine and Chartreuse Fire Dye herring) and let the fish tell me what they want. Lately, it’s been the herring. However, other baits are getting them on plugs. The Chartreuse Fire Dye has been key this year. That makes the entire bait (even the meat glow). The Snake is only open on Sunday and Monday. And, the catch is you have to fish below the Idaho/Washington line down to Lower Granite Dam. I focus on the section of the river near Clarkston. We troll this area. I tend to troll in the clear water along the mud line. Keep in mind, the Snake is muddier and the Clearwater River is colder, therefore I want to be in the clearer and colder water because that’s where the salmon will be. I’m running chartreuse cut plug herring exclusively and rather than sucking to the bottom I’ve found most of my fish suspended five to eight feet above the bottom. I’ve altered my recipe to brine and dye my herring this year. Now I dye and brine my herring at the same time. The process is quick and easy. Here’s what I do. Start with a Snapware Container (or something similar) and pour in two bottles of Chartreuse Fire Brine. Add one half-cup of sea salt. I do this because I like a firm bait. Add a tablespoon of Fire Power for scent. I also add five to eight drops of pure anise oil. At last, I’ll add two hefty squirts of Chartreuse Fire Dye. Mix until the salt dissolves. Then I’ll put two flats of the cut plug herring in the container and let them sit for a day. The most important thing is keeping them cold. They are now ready to fish. Editor’s Note: John Albrich guides for Reel Time Fishing. 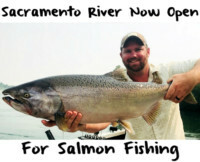 For more info on their Clearwater and Snake River springer trips please visit http://reeltimefishing.com.